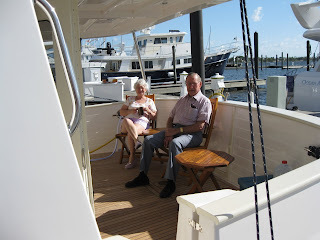 Dad and Carmen enjoying a nice cup of coffee on the back deck. Sylvianne's Dad and Carmen come for a visit. 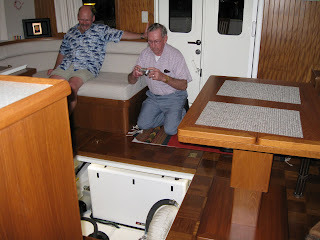 Dad on his knees taking pictures of the engine room.